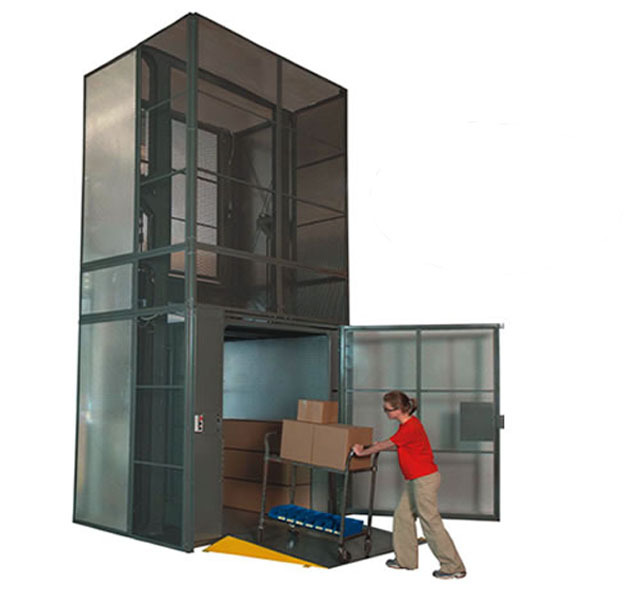 Wildeck’s mechanical cantilever VRC configurations provide a cost-effective and safe way to move material loads between floor levels. Standard - Up to 6,000 lbs. W8 High Load - Up to 12,000 lbs. LIFTING SPEED: Standard travel speed is 28 fpm. Higher speeds available. 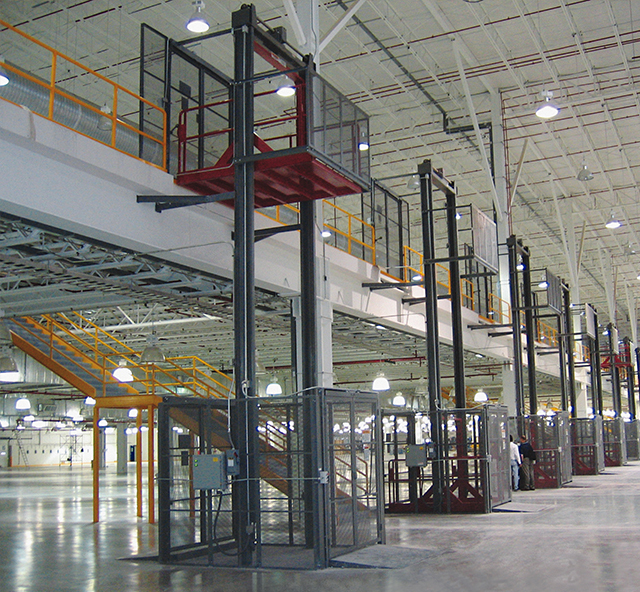 CARRIAGE PLATFORM: Up to 12 ft. wide x 10 ft. long. Custom sizes available. Pit-less Flat Plate carriage available on some sizes (eliminates loading ramp or pit requirements). LOADING PATTERNS: “C”, “Z”, or “90°”. LEVELS: Standard – Ground floor plus 1-stop. Multi-level operation is available. 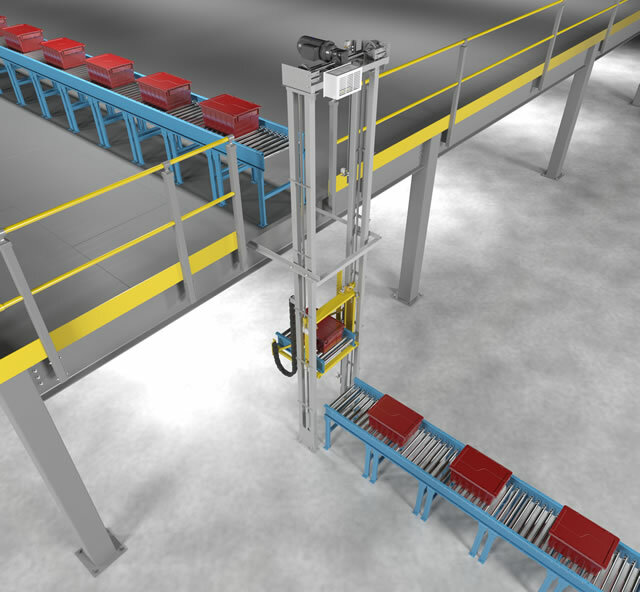 MECHANICAL LIFTING SYSTEM: The standard Wildeck Mechanical Straddle VRC features a rugged lifting motor rated for continuous duty. Reliable heavy-duty roller chains, a high service factor gearbox, and the alloy steel driveshaft have been specially designed for durability and long service life. 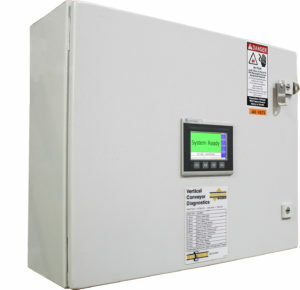 The main control panel is rated NEMA 12. NEMA 4 call/send stations included for each level have self-maintaining push-buttons and a mushroom-head E-Stop. 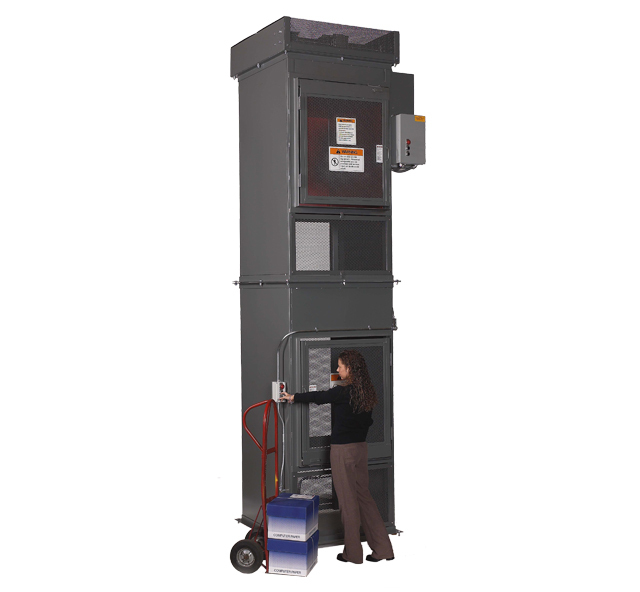 Optional “Lift Present” lights on Call/Send Stations, Key-Locked or Key-Pad secured controls and stations. Other options may be available. 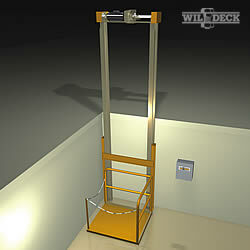 Please discuss your application requirements with Wildeck. 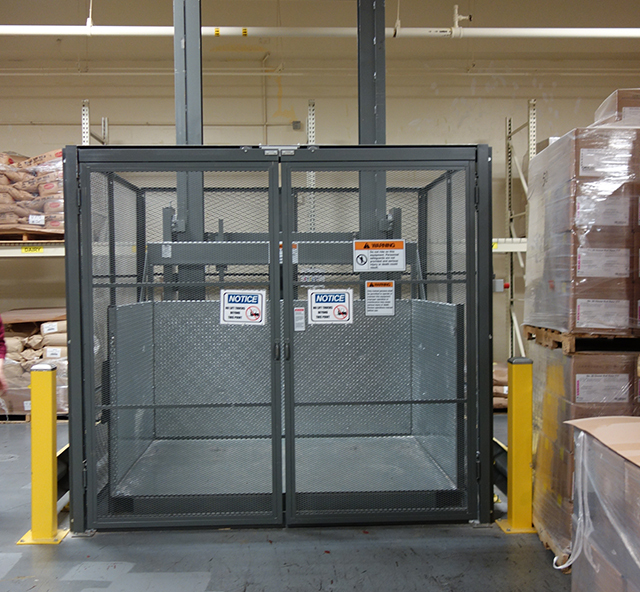 The ANSI/ASME B20.1 code requires safety gates and 8 ft. high guarding on all accessible sides of the lift. 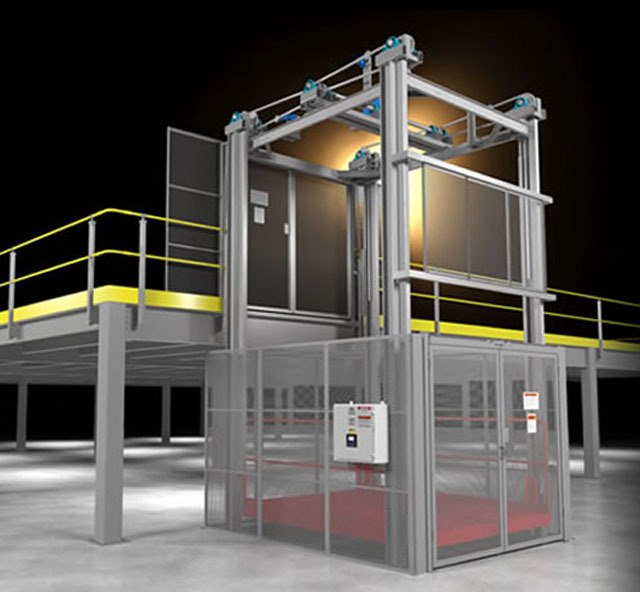 4XLift™ gates have electrical and mechanical interlocks that prevent VRC operation if the gates are not fully closed; and gates cannot be opened if the carriage is not at the designated level. UL-508A Labeled Control Panel. 208/230/460 VAC, 3-phase (Single-phase option available). Control voltage is 24 volts. 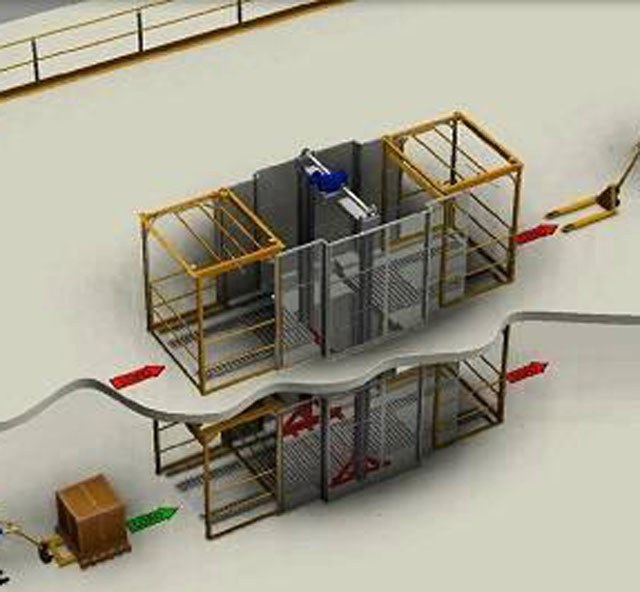 Optional “Factory Pre-wired” call/send stations and gate interlocks is available.